Like our Facebook page to have daily ICTFC news on your timeline. Our first game back in the second tier of Scottish football is a big one as we face, the bookies favourites for promotion, Dundee United. ICTFC’s Betfred Cup campaign ended last Saturday, with them finishing second in Group A but the points total not being enough to became one of the best four runners ups that progress to the last 16. Gary Warren (2), George Oakley (2) and John Baird all grabbed goals in the Group Stage matches. Across the four games there were 10 debuts as Mark Ridgers, Joe Chalmers, Matty Elsdon, John Baird, Riccardo Calder, Collin Seedorf, Zschusschen, George Oakley, Alex Cooper, Connor Bell all made their first appearances. Inverness will be missing captain Gary Warren alongside long term absentees in Carl Tremarco, Aaron Doran and Zak Elbouzedi. Collin Seedorf remains a doubt with illness but it hoped he will make the line-up. United finished third, behind Falkirk and Hibs, in last seasons Championship and narrowly lost out in the playoff final over two legs against Hamilton Accies. Since then, Ray McKinnon’s side have undergone some pretty hefty changes in their squad as Jordie Briels (Fortuna Sittard), James Keatings (Hibs), Billy King (Hearts), Scott McDonald (Motherwell), Paul McMullan (Celtic), Deniz Mehmet (Port Vale), Patrick N’Koyi (MVV Maastricht), Tam Scobbie (St Johnstone), Harry Lewis (Southampton, loan), Sam Stanton (Hibernian, loan) have all joined the Arabs. United have also signed Fraser Fyvie in time for tomorrows match, after winning the Championship with Hibs last season, Fyvie has been training with United and Aberdeen this summer but has finally struck a deal with Ray McKinnon’s men. 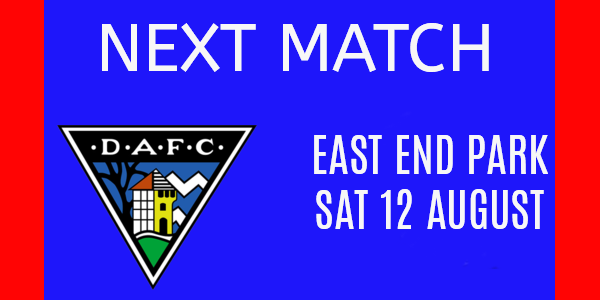 United come into the match following a successful Betfred Cup campaign which saw them top their group, as the pipped neighbours Dundee to top spot in the process. However, the last 16 draw threw up a freak result as United will again have to travel to Dens Park to face their rivals in the next round. Saturday’s match will also see the return a familiar face, as Billy King returns to the Caledonian Stadium. King signed a pre-contract with United last season, as it became clear he didn’t have a future at Hearts. United have injury troubles of their own as Stewart Murdoch and James Keatings remain doubts and Scott McDonald is definitely out due to suspension, alongside Partick N’Koyi and Matty Smith. It’s an awesome opening day fixture to get the season underway, United will be challenging for the title this season and John Robertson has also aimed for an instant return to the top flight for ICT.